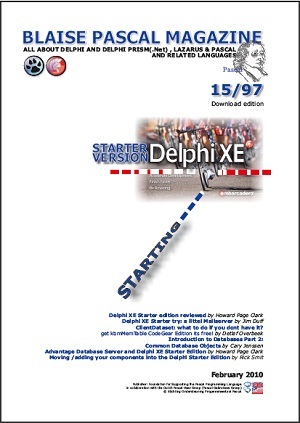 Blaise Pascal Magazine just released a freely downloadable special issue dedicated to Delphi XE Starter edition. Visit their web site and click the button to download the PDF version. ClientDataset: what to do if you don't have it? Get kbmMemTable CodeGear Edition, its free!